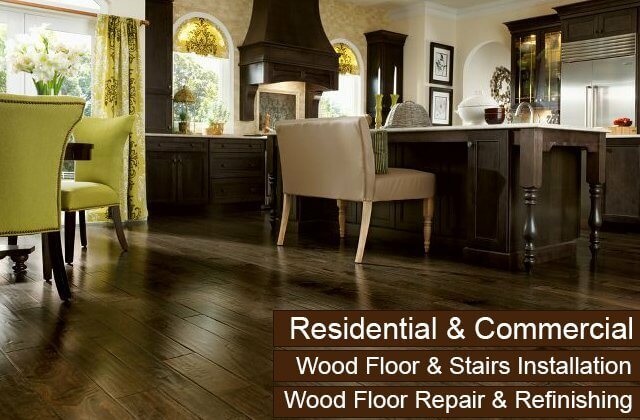 Carter Wood Floors is Southern California's premier wood floor contractor serving Mission Viejo. We have over three decades of experience in hardwood floor installation and refinishing, and can bring a level of craftsmanship that will help you get a floor that not only looks stunning, but also is designed to withstand years of use. 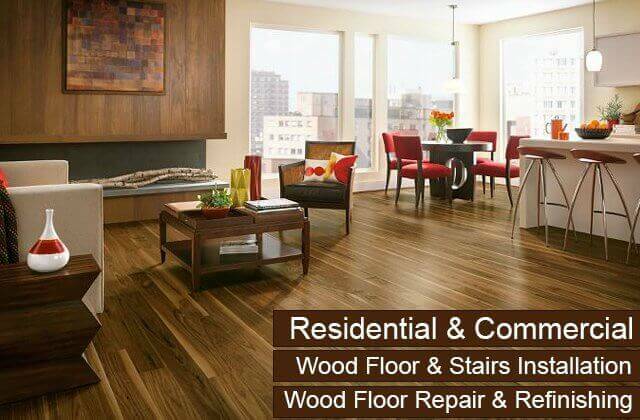 Whether you are looking to upgrade a room in your home or business with the natural beauty of hardwood or repair and restore your existing wood floor, our flooring professionals have the expertise and skill you are looking for. Our team members are always available to provide on-site consultations in which you'll get our honest, expert recommendations and a free price estimate with zero obligation. We welcome jobs of all sizes--even it if it's just replacing a few boards--and price our services to be highly competitive. 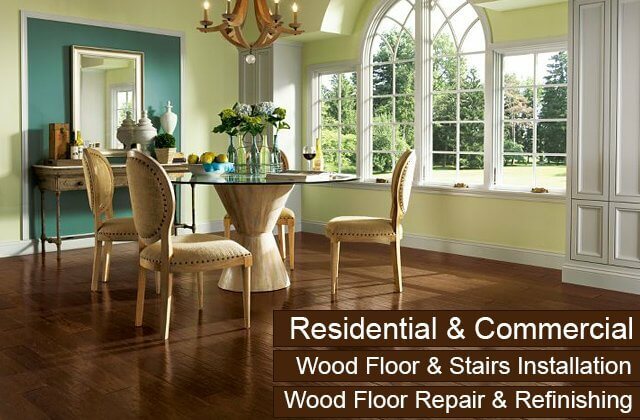 At Carter Wood Floors, you can always expect to receive hardwood flooring services of exceptional quality. All of our work in Mission Viejo is performed by our own employees--never subcontractors--and supervised by our owner. Our employees average 12 years of experience and our owner has been in the hardwood flooring business since 1971 (over 40 years!). He ensures that our professionals arrive completely prepared for every Mission Viejo job; our workmanship consistently meets the highest of industry standards; and all work is performed efficiently without ever cutting corners or jeopardizing quality. 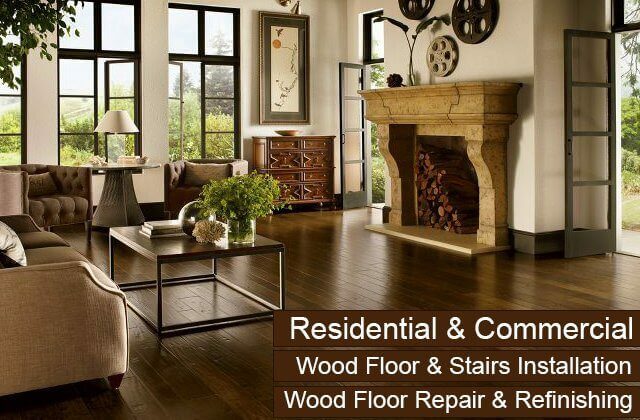 Carter Wood Floors is licensed (CA #465465), bonded, and insured. We accept cash, check, and credit card (MasterCard and Visa). Our normal business hours are 7am to 5pm, but we welcome phone inquires from Mission Viejo residents at any time. When it comes to hardwood floor refinishing, no flooring company can compete with the expertise and artistry that Carter Wood Floors is able to bring to every Mission Viejo job. Over the last 30 years, we have refinished thousands of wood floors and become the go-to company for home and business owners throughout Southern California. Our wood floor refinishing service includes sanding with three grades of sand; buffing with a fine abrasive screen; removal of dust; and applying stains and finish. This comprehensive service is extremely effective at giving your wood floors new life and highlighting its unique character. 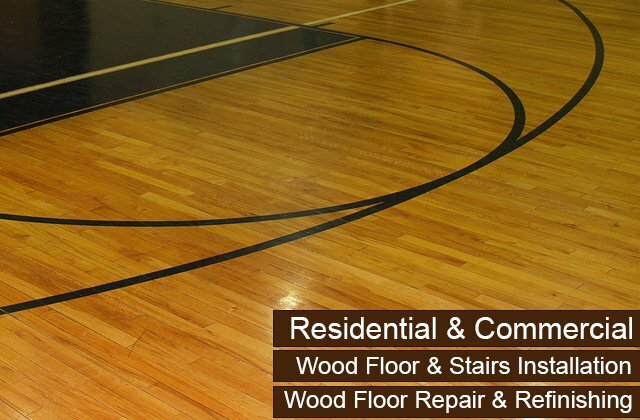 To learn more about our hardwood floor refinishing services, call us today. We'll schedule an appointment for one of our professionals to visit your home or business in Mission Viejo and perform a thorough floor inspection. 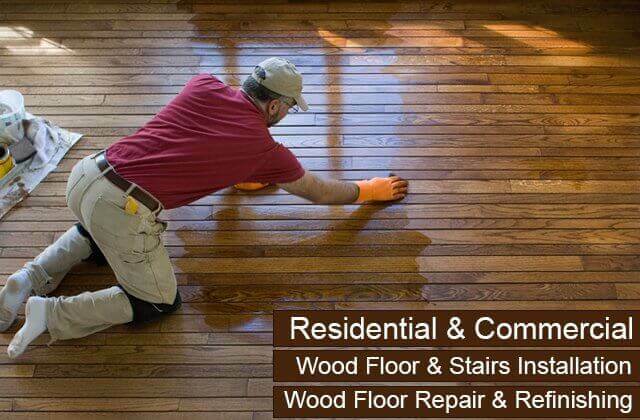 Our expert will determine if refinishing is right for your floor and then give you an upfront estimate for the cost of our hardwood floor refinishing service. Carter Wood Floors is also highly skilled at hardwood floor installation. 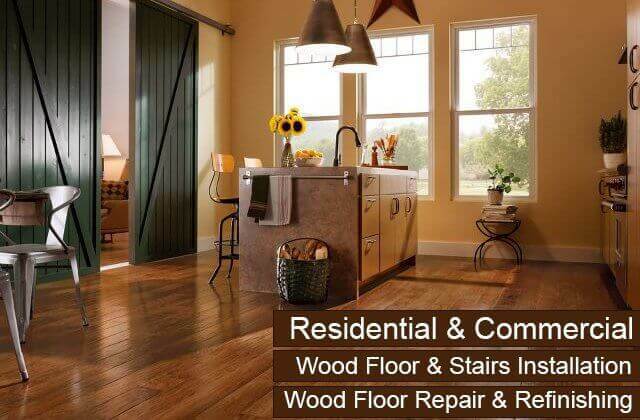 We offer this service to Mission Viejo home and business owners who are remodeling, wanting to replace an old wood floor, or wish to switch from carpeted flooring to hardwood flooring. With every new installation, our Mission Viejo customers have their choice of wood floor construction (solid or engineered), species (domestic or exotic), style (parquet, plank, wide plank, mixed width plank, thin strip), finish (distressed, hand-scraped, specialty; water-based or oil-based; low, medium, or high gloss; etc. ), and color. To help you sort through all of the available options, our professionals will spend the time necessary to answer all your questions, help you weigh the benefits of each option, and bring flooring samples to their onsite visit so you can consider them in the context of your home's or business's lighting, decor, and layout. At Carter Wood Floors, all of our hardwood comes from either Mullican, Garrison, Bruce, and Robbins, trusted manufacturers who are known for producing floors of exceptional beauty and durability. These manufacturers back up their products with some of the best warranties in the industry. While they all offer our Mission Viejo clients a wide selection of both factory-finished and unfinished wood, Carter Wood Floors prefers to work with unfinished or "raw" wood. By using unfinished wood panels, we can give the wood time to acclimate to your environment prior to installation, custom cut it to size, expertly install and sand it, and then apply the stains and finishes that will give you the exact look and color you are looking for. 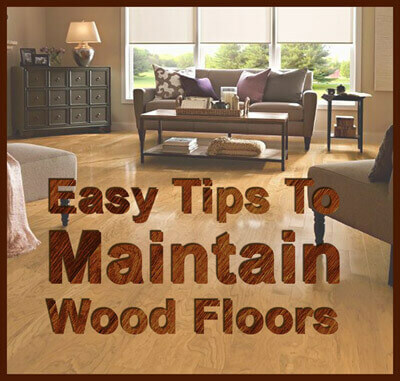 However, if you have already purchased floor panels, Carter Wood Floors is happy to provide the installation labor for you at a cost-effective price. Our hardwood flooring can also be installed on your stairs. We often are called upon to convert carpeted stairs to hardwood stairs, refinish existing hardwood staircases, and replace the hardwood on stair treads and/or risers for clients in Mission Viejo. We can even stain the wood on you stairs to perfectly match pre-existing wood floors. 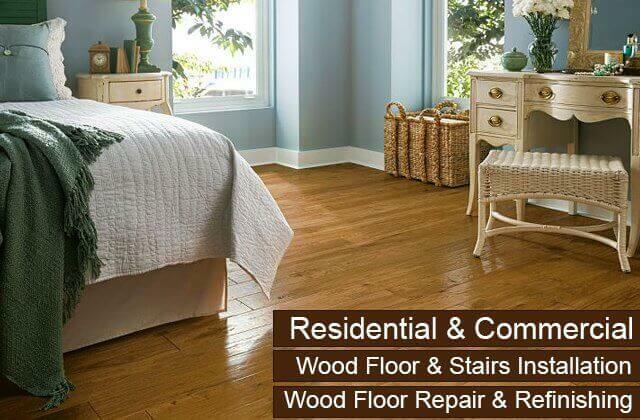 Contact us today to tell us about your hardwood flooring sales and installation needs in Mission Viejo. Solid hardwood floors are typically 3/4" of an inch thick and are constructed out of a single piece of wood. Solid hardwood flooring can be factory finished or finished on site, and can be installed by being nailed to either a plywood or OSB (oriented strand board) subfloor. Both installation methods are an excellent choice for ground level installations or above in Mission Viejo properties. Overall, the great advantage solid hardwood flooring possesses over traditional engineered hardwood flooring is in its composition: because hardwood floors are solid hardwood from top to bottom, they can be sanded down and refinished many times. In contrast, engineered floors are constructed by stacking multiple layers of hardwood plies on top of each other in opposing directions. The layers are bonded together under heat and pressure, and then a top layer or "wear" layer of real hardwood is added over the surface. The main advantage that engineered hardwood floors offers our Mission Viejo customers over solid hardwood floors is that they are more stable dimensionally. The layers of hardwood that are stacked in opposite directions help to counteract the natural tendency of wood to expand and contract when exposed to varying levels of moisture. This added stability makes engineered floors ideal for slab and basement installations, where moisture levels are typically an issue. To learn more about the pros and cons of these and other flooring options, call Carter Wood Floors today. Our professionals will help you determine the best floor for your Mission Viejo home or business.